Villa 4 U is one of the best place to spend your vacation at Aluthgama (near Bentota and Beruwala which are some of the best tourist attractions in Sri Lanka). We are located just about 65km away from Colombo and approximately 100km from Bandaranayake International Air-port. Villla 4 U staff is always welcoming to serve and willing to serve you with all facilities until your departure. If you are looking for a complete relaxing holiday, where it is just for you. There are four comfortable rooms available with all the facilities. 8 Guests can accommodate well in our villa and for kids' age below 6 are free. You are able to get special promotional rates by contacting Villa 4 U. The environment around Villa 4 U makes your mind feel calm, quiet and relaxing. 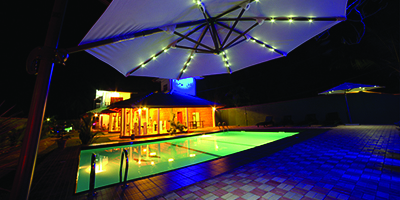 The swimming pool is offering luxury and privacy as guests will not be all crowded together. You enjoy the cool water and you may forget the stress of daily life and just listen to the birds' sounds and sound of the ocean. Many dining options are available at Villa 4 U. 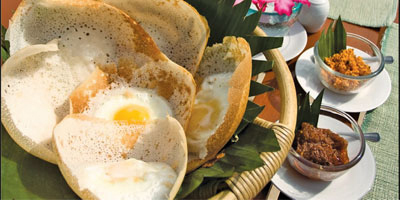 Authentic Sri Lankan meals are served in style from those who favor a spicy delight to those that prefer soft and milky coconut flavors. And also you can make a choice for Western dishes, Eastern dishes, Sea food and BBQ.